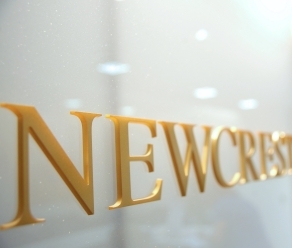 As one of the world’s top five gold producers, Newcrest is the biggest miner in PNG and the largest company listed on the Port Moresby Stock Exchange. Its interests and exploration tenements in PNG represent close to 40% of the value of its global assets. Newcrest’s Lihir gold mine is located in the Lihir group of islands, approximately 900km north-east of Port Moresby in New Ireland Province. 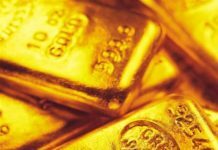 Discovered in 1982, Lihir is one of the world’s largest gold deposits and, based on current reserves and production rates, has a potential mine life of 26 years. 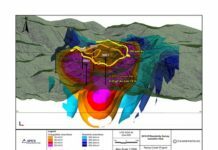 Newcrest also has a 50% interest in the exciting Wafi-Golpu Project – a joint venture with Harmony Gold Mining Company Limited – a greenfields gold and copper mine in Morobe Province, about 65km south-west of the city of Lae. Permitting applications are currently with the PNG Government and, if developed, Wafi-Golpu would be the largest, deepest and most complex underground mine in PNG, with an expected mine life of 28 years. It is shaping up to be a landmark year for Newcrest in Papua New Guinea, with strong performance at its Lihir mine, and permitting processes underway for its major new project at Wafi-Golpu. As the APEC host for 2018, global interest in PNG is higher than ever. We spoke to Newcrest’s CEO Sandeep Biswas about the implications of PNG’s APEC host year. Newcrest was the first company to sign up as a 2018 APEC Platinum Sponsor. Why is Newcrest supporting the APEC Summit? 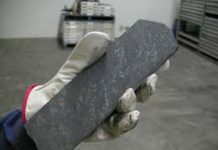 Newcrest operates mines in three APEC economies, with exploration interests in others. So naturally, we support APEC objectives of fostering more open trade and business links across the region. But ultimately, our Platinum Sponsorship is about supporting PNG during this milestone year. 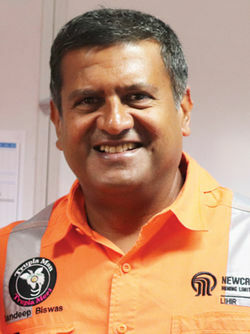 Newcrest Managing Director and CEO, Sandeep Biswas. An event like APEC is a once-in-a-generation opportunity for PNG to showcase its credentials as a vibrant and attractive investment destination. As a long-running operator in PNG, we want to stand alongside the PNG Government as it tells PNG’s story to the world. Prime Minister Peter O’Neill has made it clear that successfully hosting this event is a key priority, and Newcrest is supporting that goal. We have a vested interest in seeing PNG succeed, not just at hosting APEC, but in its broader aspirations for development and prosperity. PNG has already successfully steered a number of the high-level meetings in the APEC calendar, and I look forward to joining my fellow CEOs and world leaders at the Leaders Meeting in November. One of the themes of PNG’s APEC host year is inclusive, sustainable development. How do mining operations contribute to this goal? Safety and Sustainability is one of the five key pillars which underpin Newcrest’s operations: it is embedded in everything we do. Ensuring our operations responsibly deliver results to our shareholders but also to our host governments and communities, while prioritising safety and minimising our impact on the environment, makes our operations stronger and more resilient. Besides our payments of tax and royalties, our operations generate value for the PNG Government and communities through infrastructure we deliver on their behalf. For example, Lihir spent around K66 million on infrastructure in FY2017, including K22 million to run the Lihir Medical Centre, and K23 million on schools, roads and bridges, and water and sanitation facilities under PNG’s Tax Credit Scheme. This brings critical infrastructure to remote areas where government services don’t yet reach. Then there are the economic opportunities for local communities including employment and contracts for local goods and supplies. There are around 5000 Papua New Guinean employees and contractors at Lihir, plus the value of contracts to local companies and suppliers amounted to some K965 million in FY2017. But our contribution doesn’t stop at our mines. 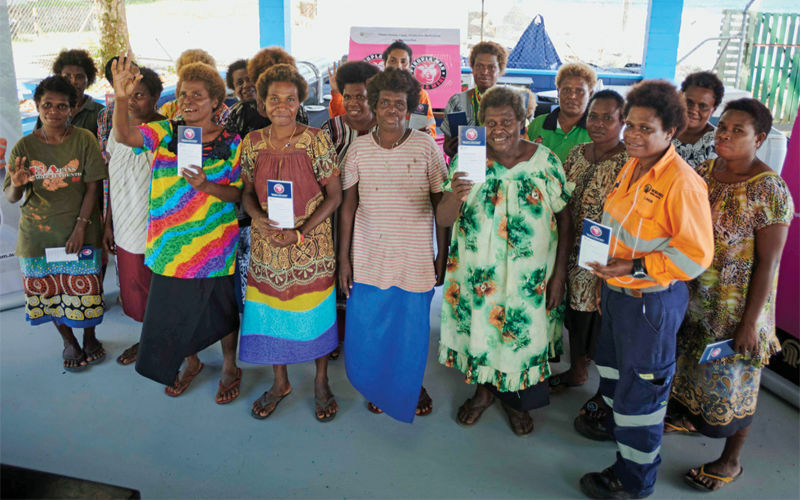 Newcrest wants to support PNG’s aspirations to be a stronger, healthier, more prosperous country, which is why we fund programs for women’s empowerment; youth skills and education; health; and public sector training. For example, this year we are funding Australia Awards scholarships for 16 students of midwifery and nursing in Port Moresby, Lae, Kokopo and Madang, and courses in Kavieng to upskill community health workers in obstetrics. Through a range of partners, we are funding teacher training, adult literacy programs, and agriculture and livelihood projects such as working with cocoa-growing families in Morobe Province. What are some of the challenges you encounter operating in PNG? When mining companies assess the investment potential of a country, we look at the mineral potential, the cost of doing business, and the legislative framework. PNG has enormous mineral potential, demonstrated by its world class mines and its significant unexplored potential. But PNG’s unique topography and very limited infrastructure bring challenges and add considerable risk, cost and time to doing business. So what we and our industry peers have consistently stressed to the PNG Government is the importance of stable legislative and fiscal frameworks that result in an attractive investment environment. This cumulative consideration of the mining legislation, taxation, fiscal and other policies is used to determine the investment risk and return profile. When compared to other countries, the total government ‘take’ in PNG is very high. We know the Government is reviewing its legislative frameworks, and we hope it will strive for worldclass legislation which results in continued investment, including a fair distribution of returns between the developer and the state, security of tenure, and stability of investment terms. Where do you see Newcrest in PNG in ten years’ time? My aim is for Newcrest to be a name all Papua New Guineans associate with inclusive, safe and sustainable development, securing winwin benefits across the country. I expect to see Lihir continuing to perform strongly, with all its accompanying economic and social contributions to New Ireland and beyond; and hopefully we’ll see Wafi-Golpu up and running, opening up vibrant business and agricultural opportunities in Morobe. Newcrest invests in education and health projects in the communities around its sites.